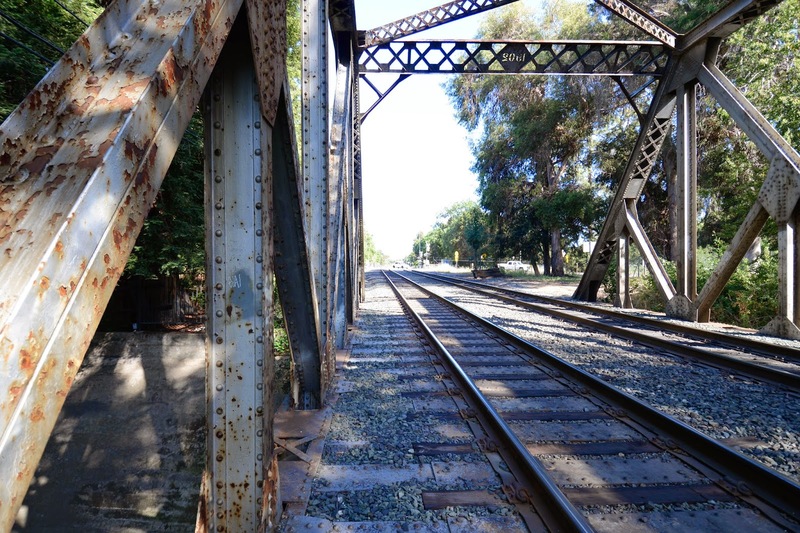 The last structure I photographed in Santa Clara County was an old railroad bridge next to Stanford University (there are other Santa Clara County bridges to the south that we'll get at some later time). The Caltrain Bridge across San Francisquito Creek is a single span, five panel truss bridge with half-hipped members to strengthen what would otherwise be a simple Pratt truss. If I had to guess, I would call this a Baltimore truss with the half-hipped members to prevent buckling of the heavily-loaded compression members. This bridge was built in 1902, it's 104 ft long, 30 ft wide, and carries two sets of tracks. Note the big gusset plates that hold all of the truss members together (in the photo below). Santa Clara County, California Bridges: Caltrain Bridge across San Francisquito Creek by Mark Yashinsky is licensed under a Creative Commons Attribution-NonCommercial-NoDerivatives 4.0 International License.